Please visit our new website for future updates. Please click here! Thanks! 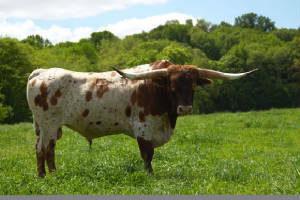 In this site you will find pictures of our herd of Texas Longhorns. Our farm called Arch Acres is located in west central Indiana in Fountain County -- half-way between Covington and Attica near a small town called Fountain (Portland Arch). Just 5 miles south of Attica on 41 or 6 miles north of Veedersburg (74 / 41 intersection) and then 4 miles west on county road 650 north. Our herd of Texas Longhorns have what we believe to be desirable standards; disposition, a variety of color, and diverse horn styles. Our program is a blend of the seven families. Our herd improves each year with genetics, artificial insemination, and a superior senior bull, Tempting Times and a up and coming junior bull, Cowboy Chex son, Hay Cowboy. 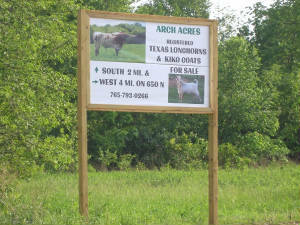 Arch Acres' goal is to promote the breed of Texas Longhorns, raise and sell pasture pets, show quality animals, breeding stock, steers, and ropers. We are lifetime members of both the TLBAA and ITLA. We support Indiana, Illinois. Ohio, Michigan and Kentucky longhorn groups. We also belong to the TLMA. 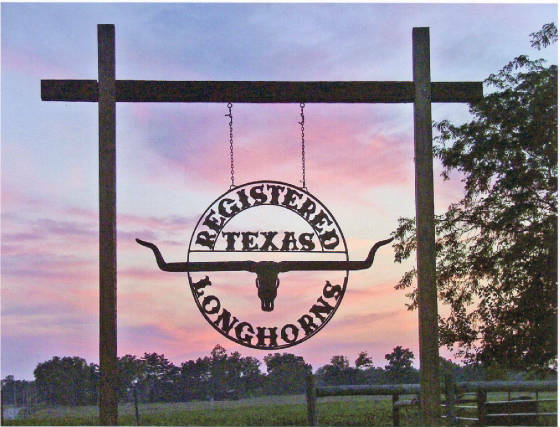 We are founding members of Midwest Texas Longhorn Association new in 2010 based in Indiana. If you have any questions, you can e-mail Jim at hdwe@hotmail.com If you are ever in the area, just give us a call: (home)1-765-793-0266. We enjoy showing our herd and talking longhorns. Google our address "1290 W 650 N, Attica, IN 47918" for directions and a map. 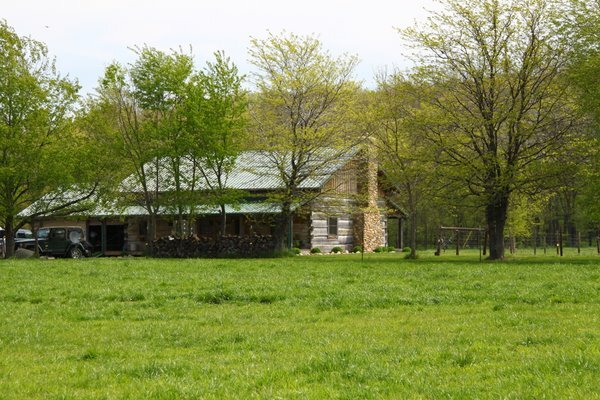 You can't miss the horns and the new "old log home" featured in Farm and Ranch Living May/June 2007 magazine. What an honor! We currently offer Texas longhorn ground beef in one pound packages. Skulls are also available. This was the first Tempter calf born and the first breeding bull offered for sale by DCCI. He shows distinct qualities of his soon to be famous family of Tempter genetics. Tempting Times is a triple bred Fielder and a double bred Field of Pearls. Tempting Times last measured 68" TTT. THIS LONGHORN SIGN IS AT OUR ENTRANCE!